This class caters for all levels; beginners to intermediate. 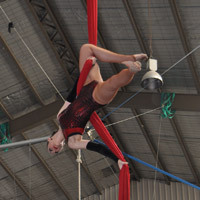 Starts with an introduction and full body warm-up, followed by a practice turn on a low stationary trapeze bar. Students are then attached to their safety harness ready to climb up and swing off our 8 metre high platform. 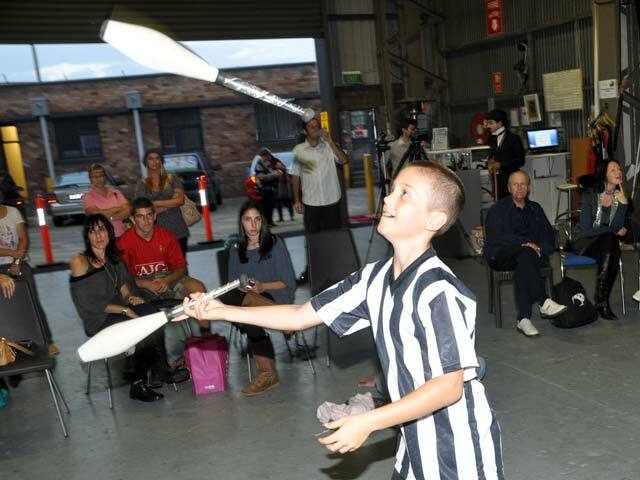 All students will have an opportunity to practice ‘Flying Tricks’ throughout the class. Classes end with the students being caught by a 'catcher' mid air. 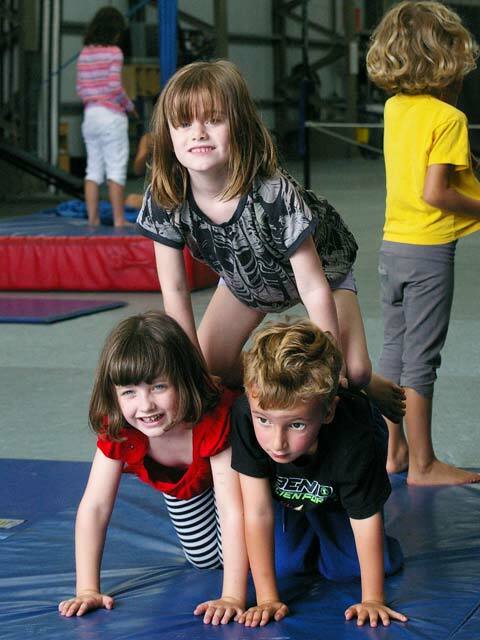 Classes run Tuesday to Sunday during NSW school term and Monday to Sunday during school holidays. Minimum 5 students per class. No weight restrictions. Minimum age 4 years, but recommended age 11 years and above. 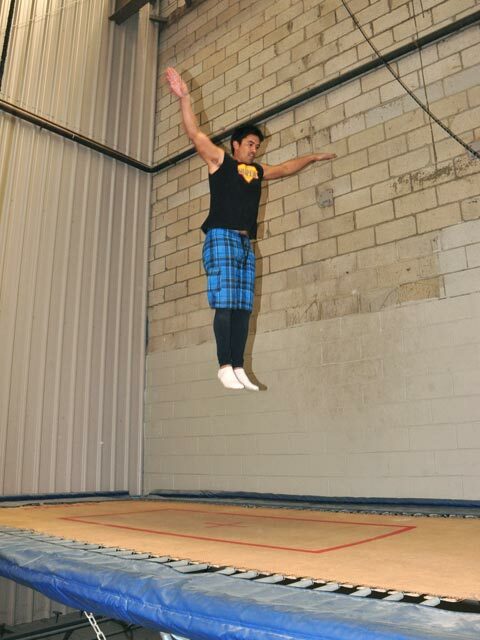 "Flying Trapeze is an addiction, well it's definitely my addiction! The amazing adrenaline rush you get whilst flying in the air is something you will never forget and as soon as you get caught by the catcher at the end of the class, you'll be hooked! It's not only an excellent way to get fit but also an interesting hobby to tell your friends about. 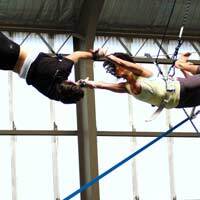 Give Flying Trapeze a try, you definitely won't regret it!" 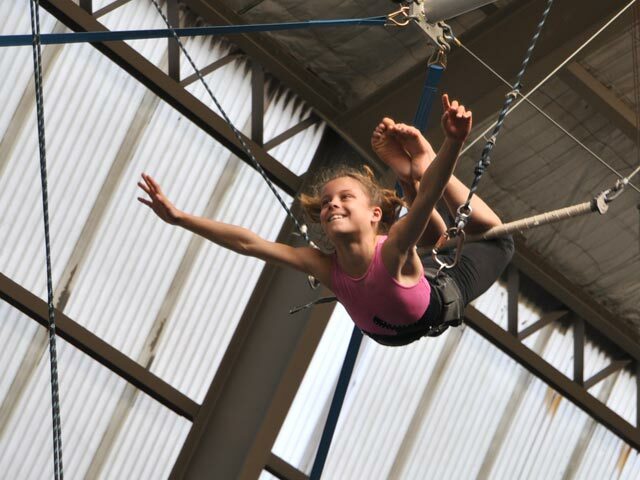 "The IPC courses are not only great fun and very social, they're also a great way to improve your trapezeing skills. Why? Because no one wants to miss their trick when we perform in front of the live audience of family and friends in the last week of each term! 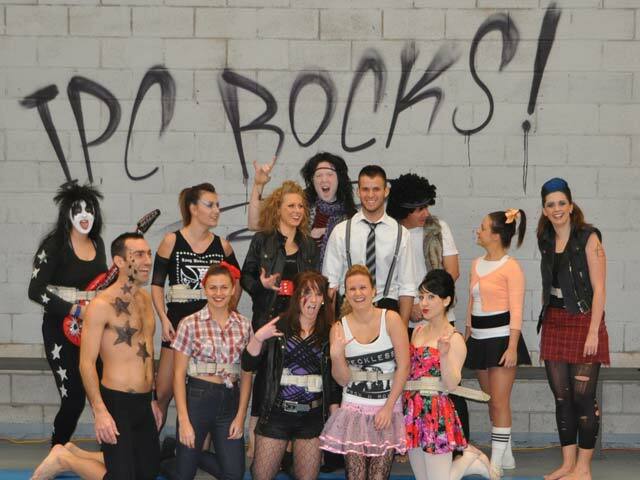 So, if you've caught the swinging bug, sign up for the next IPC course - you'll love it!" 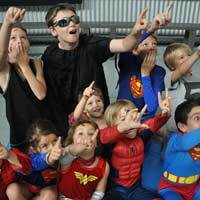 Kids can join this once a week 10 week program or just do a ‘One–Off Class’. 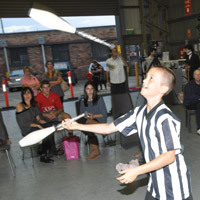 Kids will learn most aspects of circus arts, from acrobatics, juggling, plate spinning, aerial arts and Flying Trapeze. Tuesday Kids 8-12 years, Wednesday Kids 8-12 years, Thursday Kids 8-12 years, Friday Kids 8-12 years & Friday Teens 13-18 years. 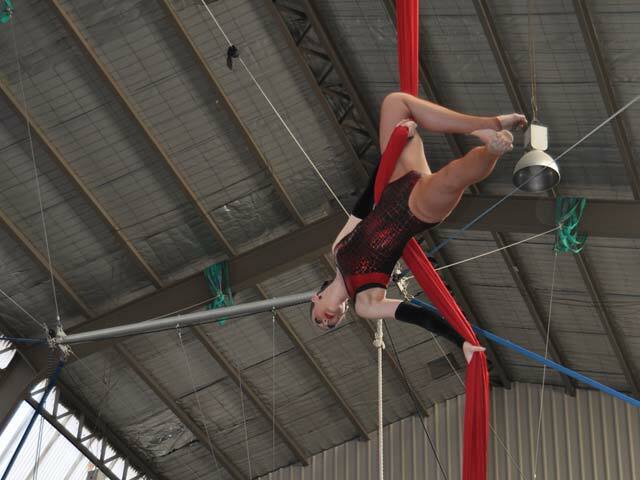 "Trapeze is the highlight of my week, I absolutely love it. The team are wonderful and really good fun and most of all I am learning to do really fun tricks while flying through the air. It's the best way to keep active and make great new friends." 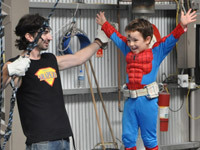 Kids learn how to perform tricks on the flying trapeze as well as some aerial, circus and juggling skills. 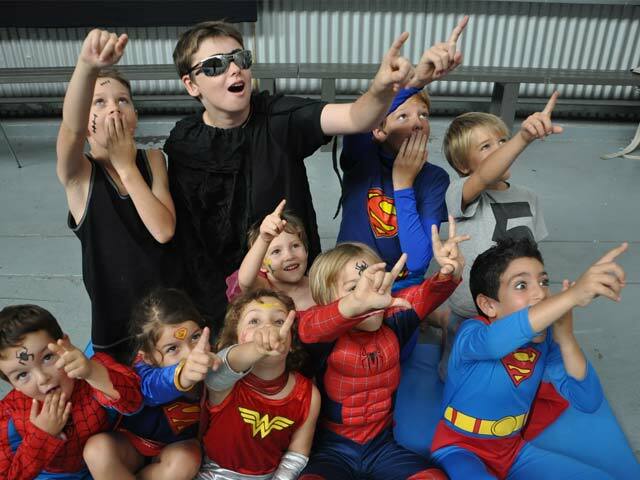 Operates during school holidays (2 hour classes) Mon, Tues, Wed, Thur & Fri.
"I booked my two kids (Amaliah age 7 and Eric age 4) into the school holiday 5 day Super Kids Workshop. The kids absolutely loved it so much that they wanted to come the next school holiday, which we brought them to with no hesitation, and now they are waiting with baited breath for their next opportunity maybe even before the next school holidays. I came every day to watch them and we brought the whole family to each of the final day performance shows where the kids perform to music and do the most amazing tricks. 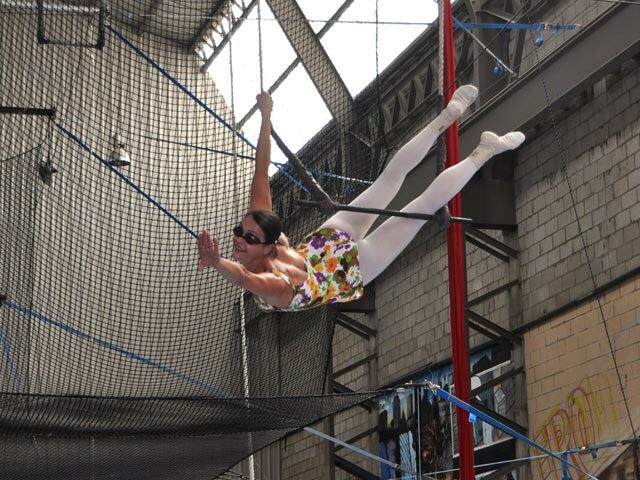 I would highly recommend Sydney Flying Trapeze classes to anyone." Classes operate once a week for 10 consecutive weeks. Book for a 10 week term or book casual one-off classes online. "The teachers are amazing, I found it easy to progress through my circus skills, juggling, unicycling and other cool stuff like barrel walking. I even go the chance to perform in the IPC show at the end of term!" This is a great class for anyone interested in Static Trapeze, Silks / Tissue, Lyra / Hoop as during the 5 weeks of the course you get to experience all 3 apparatus and then decide which one your feel most comfortable on to move onto a more intensive 10 week courses we run. Using strength, grace and flexibility, you climb the static apparatus and move your body into amazing beautiful poses and shapes. Drops and slides are an exciting and fun part of learning this circus apparatus. Two long pieces of soft fabric that hang from a single point. A a metal circular hoop that is suspended from a single point. Classes operate once a week for 5 consecutive weeks. ‘One–Off Class’ depending upon availability. 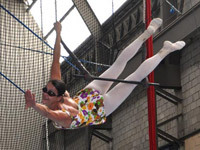 "I’ve been learning silks and lyra at STS for about 5 months, and I’ve loved every minute of it. The small class size has meant I got a lot of personal attention, which really helped me improve quickly and gain strength and confidence. And I made some great friends in my class, including the instructor, who was very friendly and helpful"
Classes operate once a week for 10 consecutive weeks. ‘One–Off Class’ in the first 3 weeks of the term. "I enjoyed my first 10 week static trapeze course so much I have signed up for a second, not only is it fun and a great workout but it has done wonders for my flexibility and balance. The instructors are great, they make you feel very safe and always explain the positions clearly. 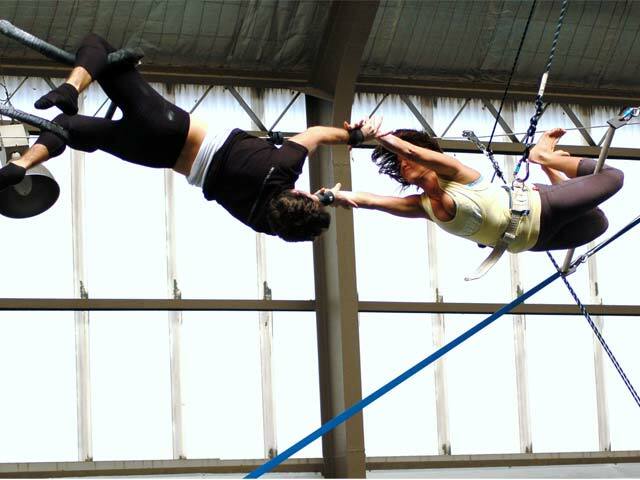 I would highly recommend giving static trapeze a try to anyone!" 5 Week Course operate on Thursdays 6:00pm - 7:00pm and 7:00pm - 8:00pm. Casual All Levels Classes runs on Saturdays 1:00pm - 2:00pm. Bookings required. Trampoline is great for perfecting spinning and twisting tricks for a range of activities including flying trapeze, wake boarding and kite surfing. It's a great workout for building core strength and general aerial awareness. Class sizes range from 1 - 3 people. 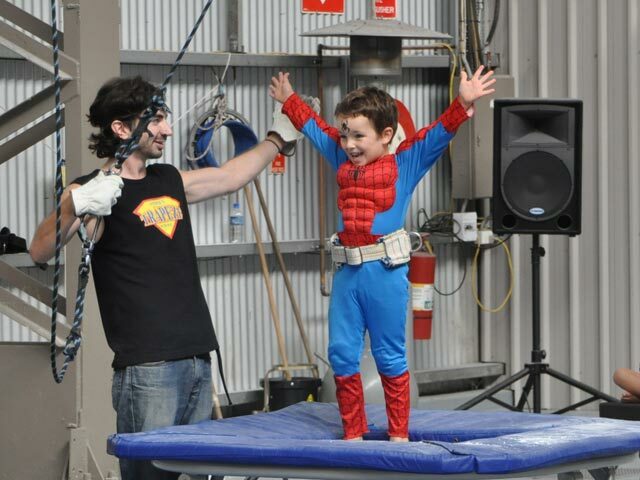 "Trampoline classes perfectly compliment trapeze. 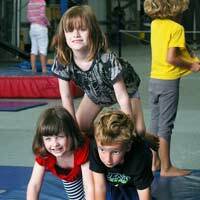 Once you pick-up the basics the instructors focus on the fun stuff like twists & somersaults. You can also really work up a sweat, great way to stay fit." A full body workout class that targets the core muscles to help you get into those difficult poses and shapes for your aerial classes and flying trapeze. Runs every Thursday during the NSW School Term, Bookings required check the class scheduled for availability. "If you’re like me and not into the gym thing, but would like to improve your trapeze skills, then conditioning is for you. Dips, Russian ladders, chin ups, burpees and birds nests are just some of the fun exercises that will help you achieve that weaponry body you deserve. This fun class is the best 60 minute workout I’ve experienced with maximum results. Trust me you’ll never get bored, only buff." If you prefer one on one instruction with our instructors this can be arranged for any Aerial Arts or Street Circus classes. Scheduled via phone booking only to find your suitable instructor. "1 on 1 classes are amazing! You learn so much so quickly because your Teacher tailors the class specifically to you AND they're great fun. Whether you're just starting out or want to take your skills to the next level, you'll love1 on 1 classes!." For all our classes please check 'Class Schedule' tab for times and availability.